A new play with music about a world famous Dad and his son. OPENING MONDAY MAY 12 AT THE ROYAL GEORGE THEATRE. Here at ChiIL Mama, we're fascinated by how creatives parent and how parents create. We've been shooting an ongoing video series on the subject now for years. Click here to see some of our interviews. We're particularly interested in the effect parents in the arts have on their kids and vice versa--the effect family has on the arts. This world premiere should be fascinating as it stars a son playing his famous father! Continuing in a tradition of storytelling and music, Hershey Felder (George Gershwin Alone, Maestro Bernstein and last season’s smash hit Mona Golabek in The Pianist of Willesden Lane) will present the World Premiere of Chris Lemmon in JACK LEMMON RETURNS, a new play with music. 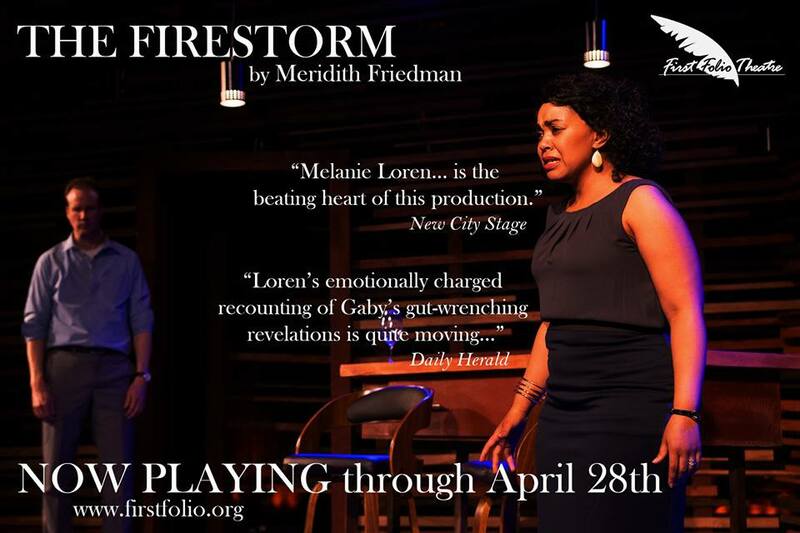 The production will preview May 2 and open on Monday, May 12 at 7 p.m. at The Royal George Theatre, 1641 North Halsted Street. The production is written and directed by Hershey Felder and based on the true story of the legendary Jack Lemmon (Mister Roberts, Some Like it Hot, Days of Wine and Roses, The Odd Couple) and his relationship with his son, actor and musician Chris Lemmon (Duet, That’s Life, Lena’s Holiday, etc.). Jack Lemmon’s lifelong dream was to be an actor, head to New York from his hometown of Newton, Mass. and “Save Broadway.” At the urging of a show-biz minded mother, but a serious business-minded father, Jack pursued his dream and, due to a remarkable set of events, became one of the world’s all-time great movie stars. Believing that no actor should ever be pigeonholed into being either a comedian or a serious dramatic artist, Jack Lemmon broke barriers, and played everything. As the first actor to win Academy Awards as both Best Supporting Actor and Best Actor, Jack Lemmon’s talents knew no bounds. But with every blessing there can also be a curse, and Jack’s son Chris was witness to it all. Chris Lemmon is the son of actress Cynthia Stone and actor Jack Lemmon. 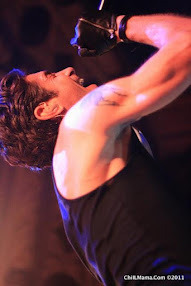 Passionate about music, he studied classical piano, composition and theater at the California Institute of the Arts. He has appeared in multiple stage productions, including the West Coast tour of Barefoot in the Park, directed by Jerry Paris, the original West Coast production of Shay by Anne Commire, and A. R. Gurney's Love Letters with Stephanie Zimbalist. He also starred as “Richard Phillips” in the situation comedies, Duet and Open House, as well as in three films with his father, Airport '77, That's Life! and Dad. 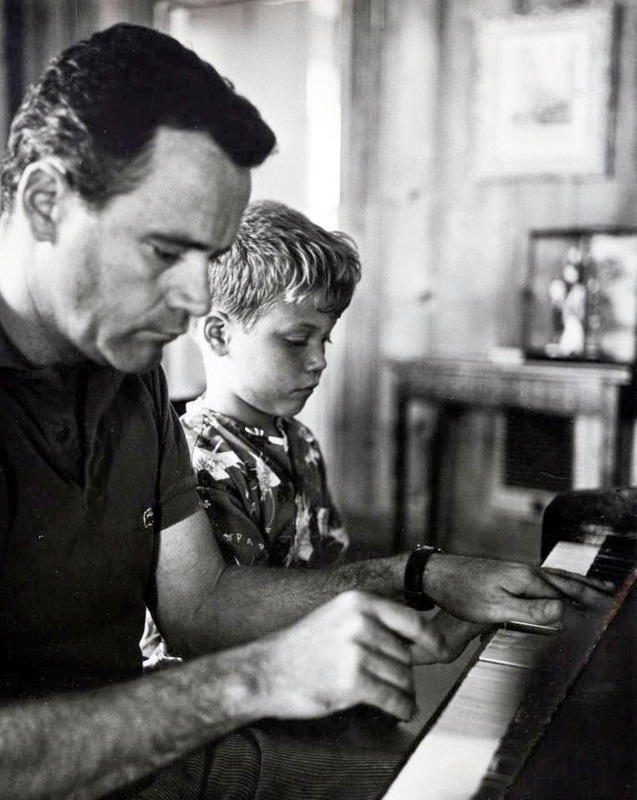 Chris’ tribute to his father, A Twist of Lemmon, was published in 2006 by Algonquin Books and re-released in 2008 by Applause Theatre and Cinema Books. Broadway, London's West End: George Gershwin Alone (Helen Hayes Theatre, Duchess Theatre). Regional and international appearances of “Composers Sonata” (1999-2014) – George Gershwin Alone, Monsieur Chopin, Beethoven, As I Knew Him, and Maestro: Leonard Bernstein and the upcoming Hershey Felder as IRVING BERLIN (Geffen Theatre LA World Premiere). Winner of 2007 Los Angeles Ovation Awards, Best Musical and Best Actor for George Gershwin Alone. Worldwide live broadcasts, George Gershwin Alone, 2005 and 2011 for the WFMT Network. Direction includes Mona Golabek in The Pianist of Willesden Lane (National Tour), Current projects include Abe Lincoln’s Piano, Hershey Felder as IRVING BERLIN and several other titles in development for various artists. Mr. Felder is a Steinway Concert Artist, and has been a Scholar in Residence at Harvard University's Department of Music. He is the President of Eighty-Eight Entertainment and is married to Kim Campbell, former Prime Minister of Canada. 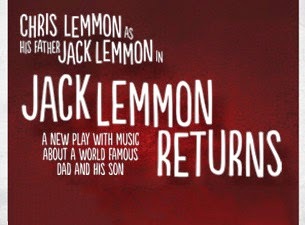 The artistic team for Chris Lemmon in JACK LEMMON RETURNS is led by Director Hershey Felder with Associate Direction by Trevor Hay. Scenic Design is by Hershey Felder and Emma Hay, Sound Design is by Erik Carstensen, Lighting Design is by Jason Bieber, Projection Design is by Andrew Wilder, and Scenic Decoration is by Meghan Maiya and Emma Hay. Erik Carstensen serves as Production Manager and the Production Stage Manager is Rebecca Peters. Artistic Direction Consultant is Joel Zwick. Performances of Chris Lemmon in JACK LEMMON RETURNS begin Friday, May 2 at 8 p.m. and continue as follows: Wednesdays at 7:30 p.m., Thursdays at 7:30 p.m., Fridays at 8 p.m., Saturdays at 2 p.m. and 8 p.m., and Sundays at 3 p.m. All tickets are $55. 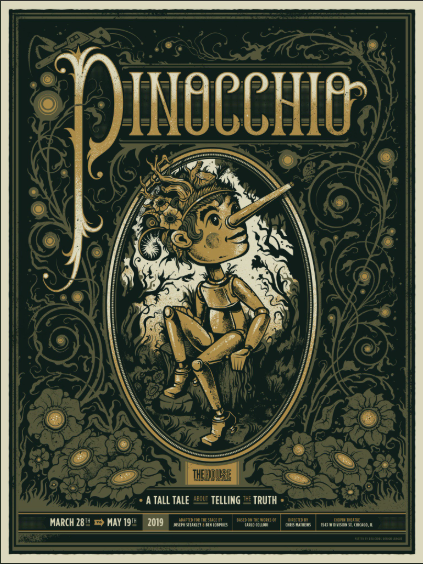 Tickets are now on sale at The Royal George Theatre and may be purchased by calling 312.988.9000. Box office hours are 10 a.m. - 6 p.m. Tuesday through Saturday. Tickets may also be purchased online at www.theroyalgeorgetheatre.com.